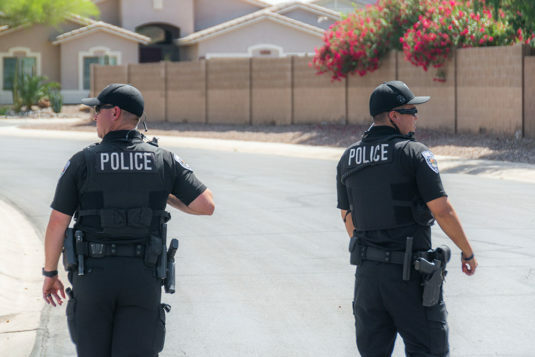 A report of shots fired caused Maricopa Police Department to block off streets in Rancho El Dorado Wednesday morning. 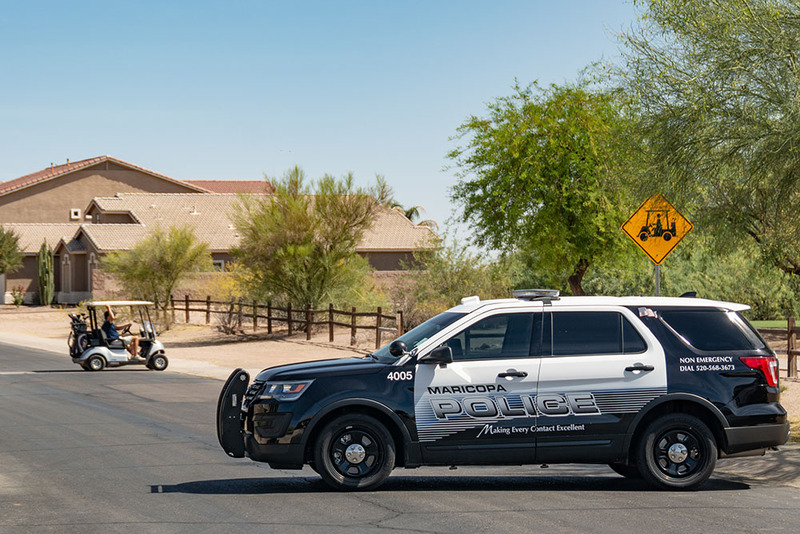 A resident reported a neighbor had been shooting a gun toward the golf course and alleged the man threatened to kill him when he complained. MPD responded to the neighborhood of Balboa Drive and Desert Park Court. 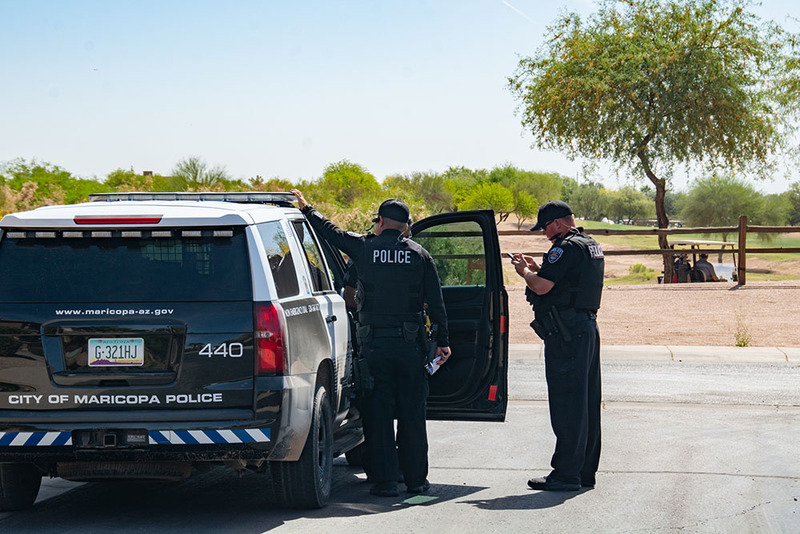 Police established a perimeter, and also set up at The Duke clubhouse parking lot, where they asked management to keep golfers from approaching the first hole. At around 10:40 a.m., MPD took a man into custody at a house on Desert Park Court and gained entry to the house to begin searching for a gun. MPD has not released the name of a suspect or possible charges stemming from the incident.